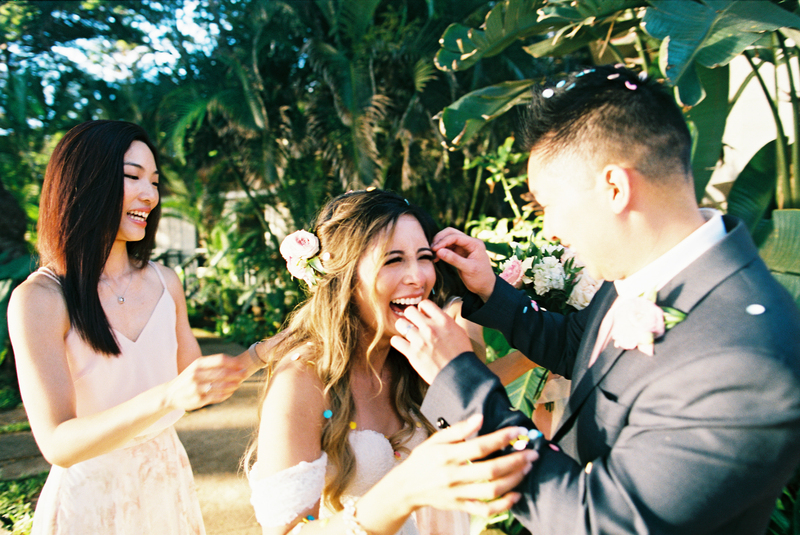 Olowalu Plantation House is without a doubt one of our favorite wedding locations in Maui; an oceanfront haven with manicured lawns, majestic trees swaying in the sea breeze, and gorgeous tropical peaks in the background. 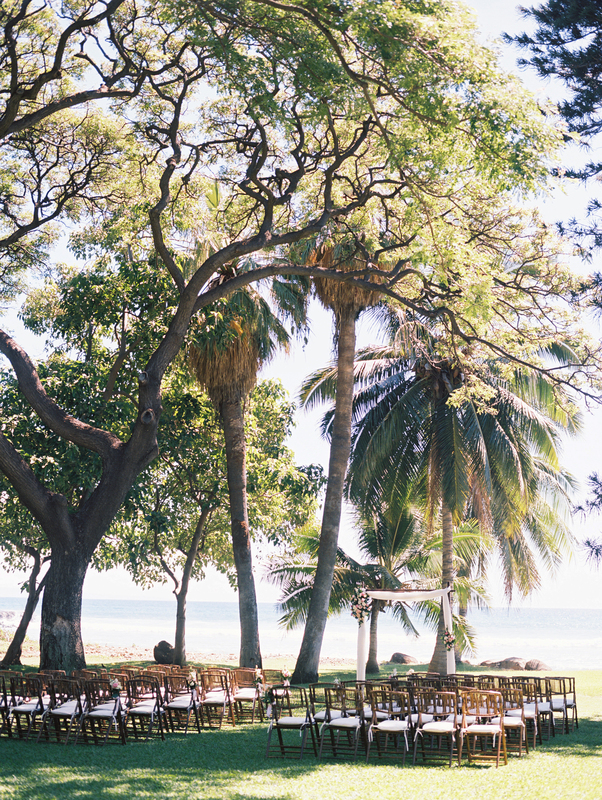 Despite being so familiar, this dazzling place feels unique with each wedding. 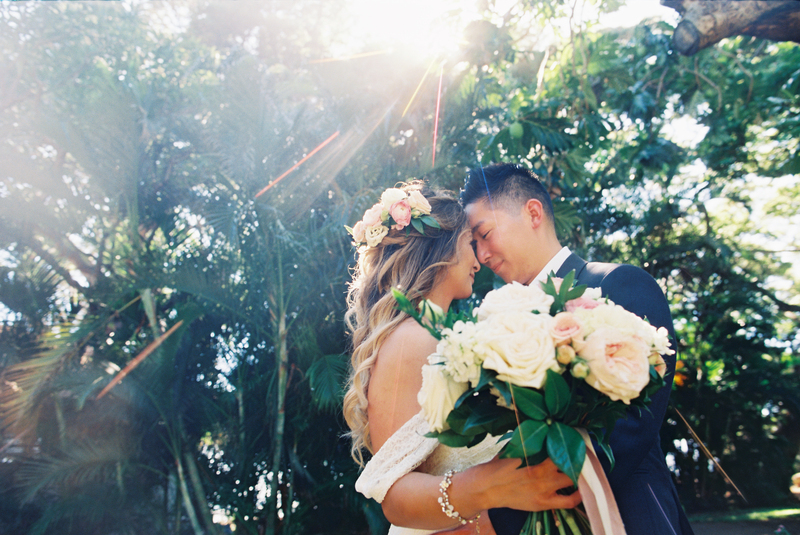 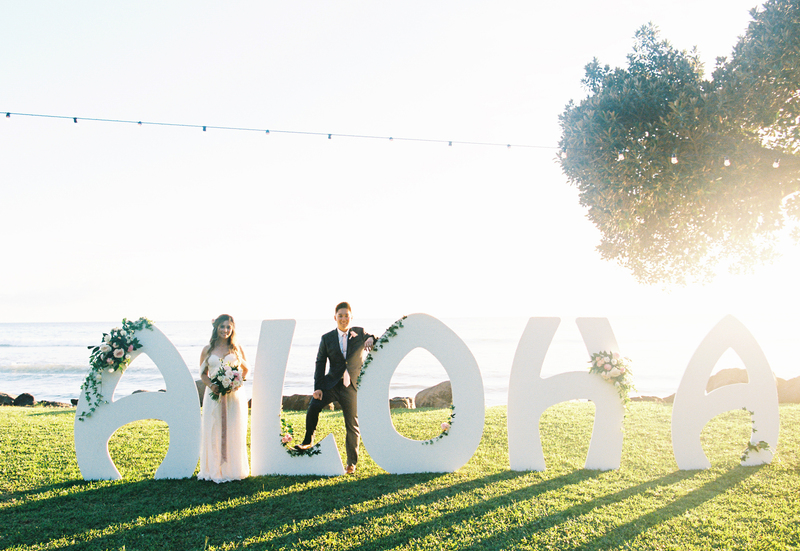 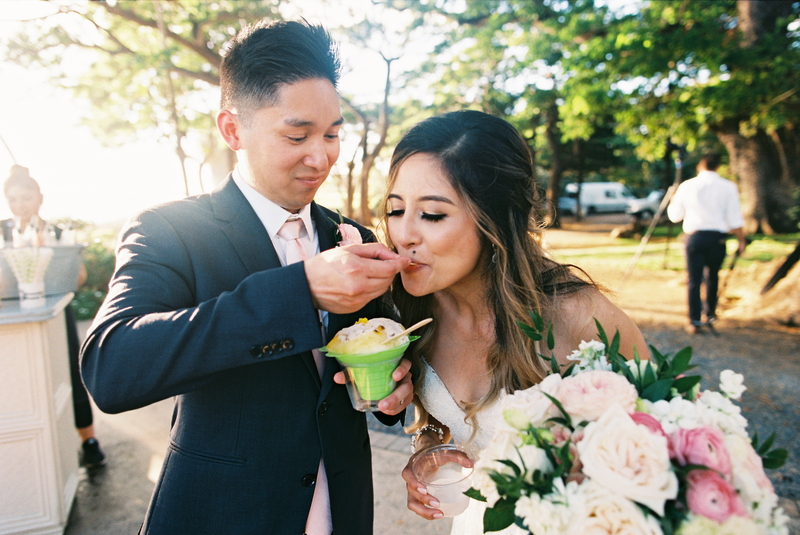 On Irish and Long’s special day, the already awe-inspiring Maui wedding location was infused with joy, playfulness, and charm, and we couldn’t be happier with the result. 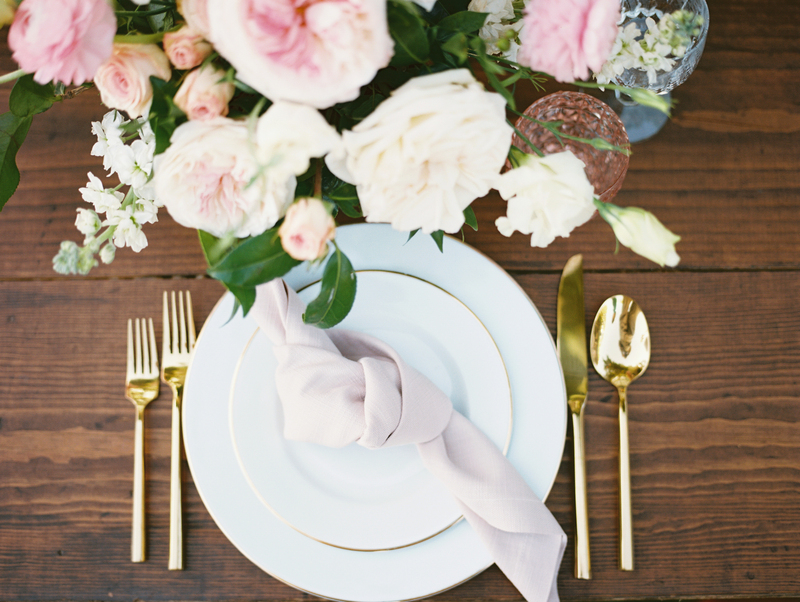 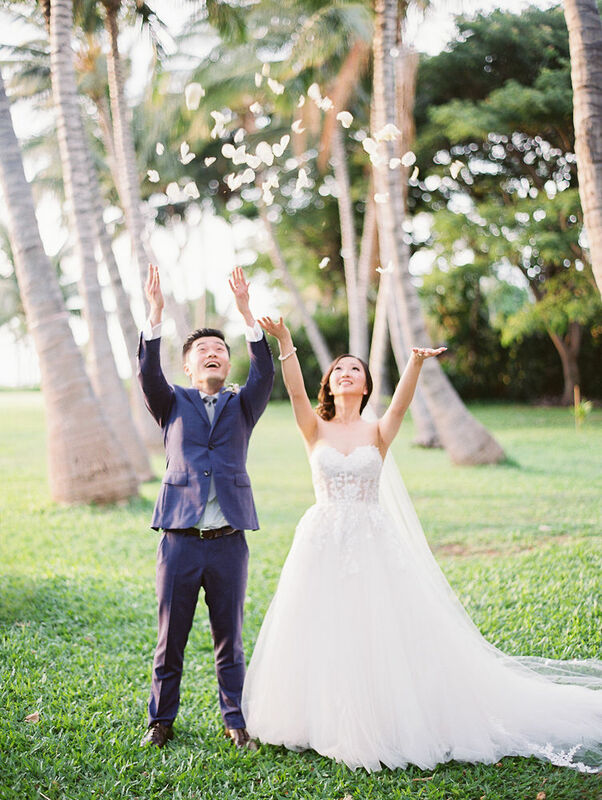 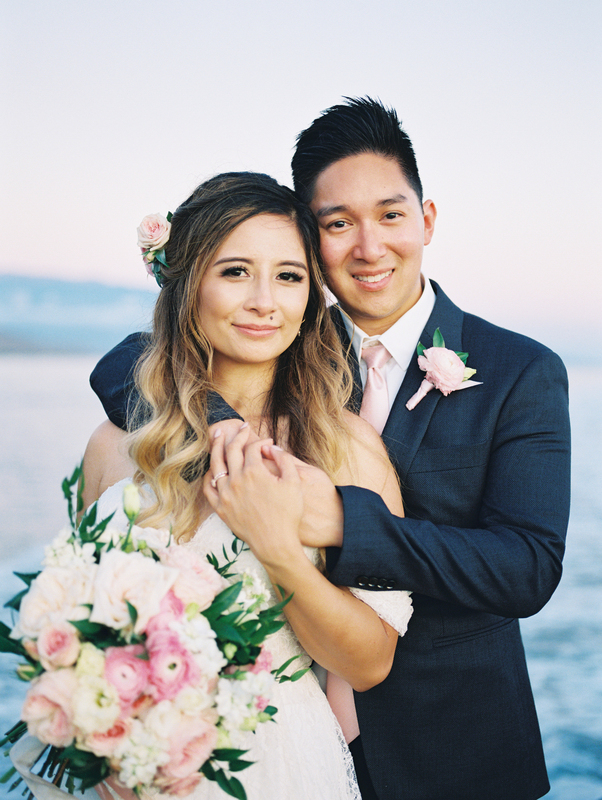 The wedding was the ideal balance between effortless elegance and carefree ease, proving that you can have fun while still keeping things simple. 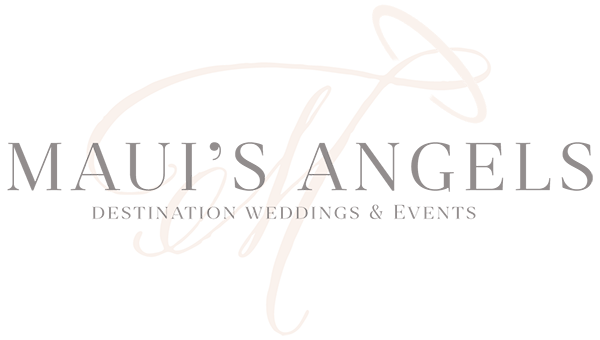 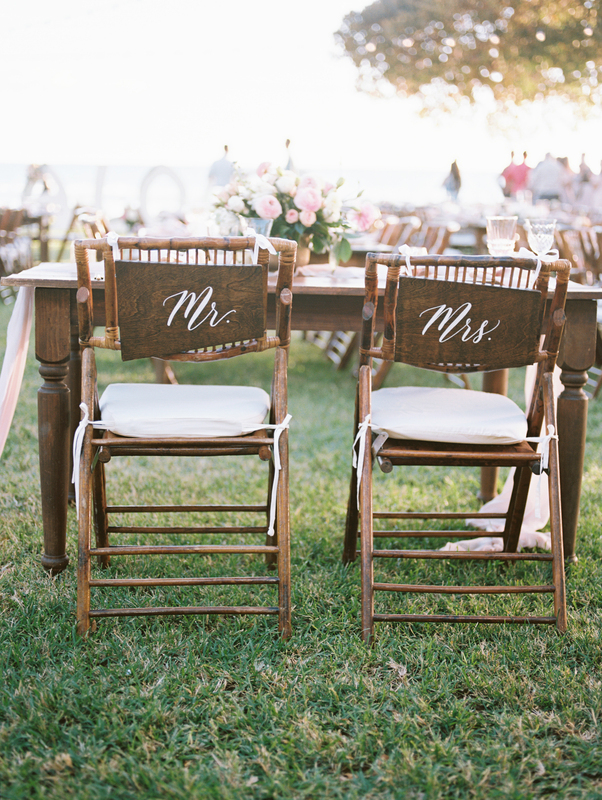 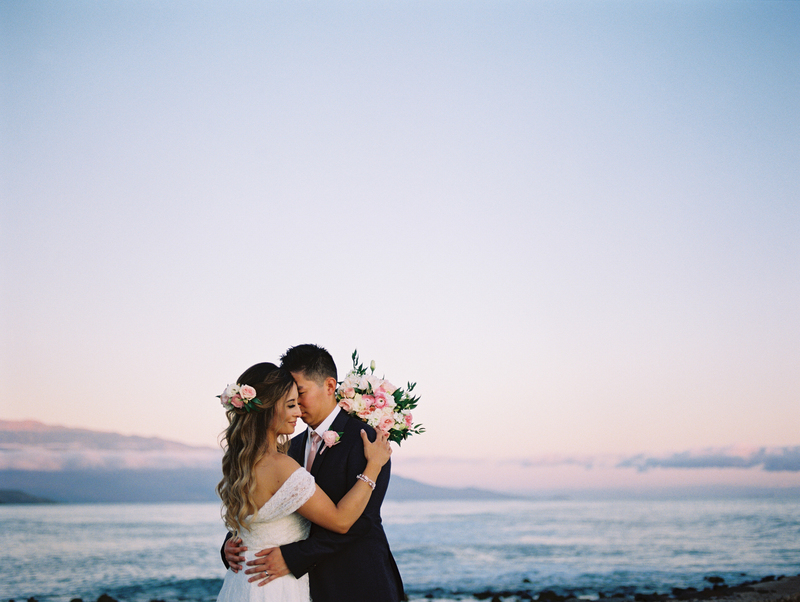 Maui wedding photographer Wendy Laurel whose work we love so much did an amazing job capturing this very special day. 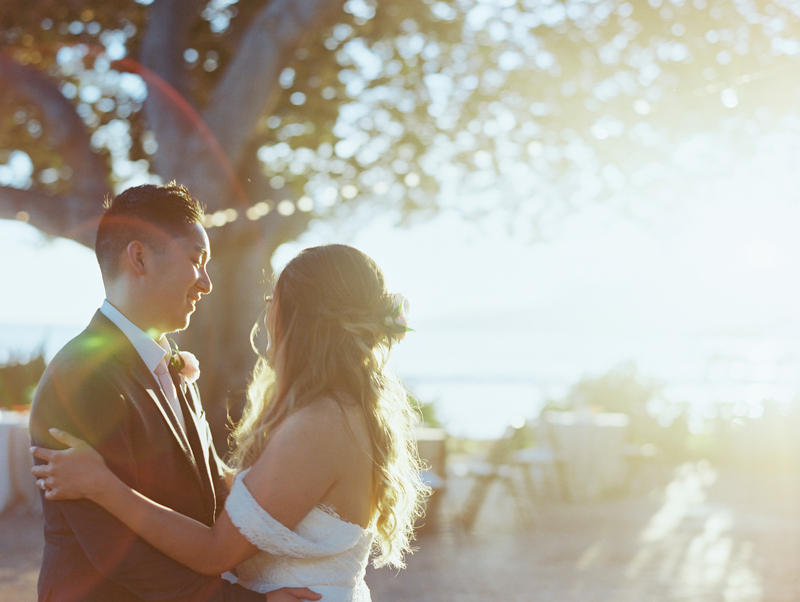 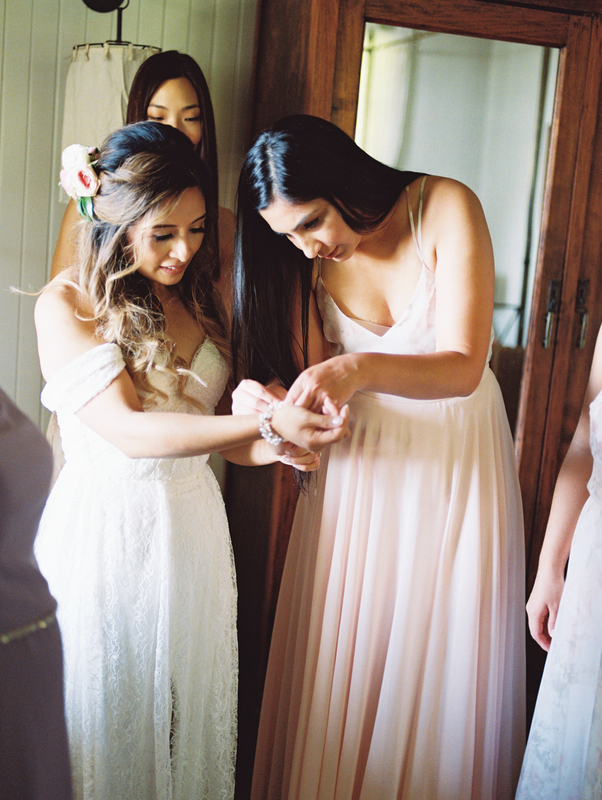 In Wendy’s own words, her photography is about capturing and channeling a feeling rather than achieving technical perfection, and looking at her stunning photos from the wedding, it’s clear that she has nailed both. 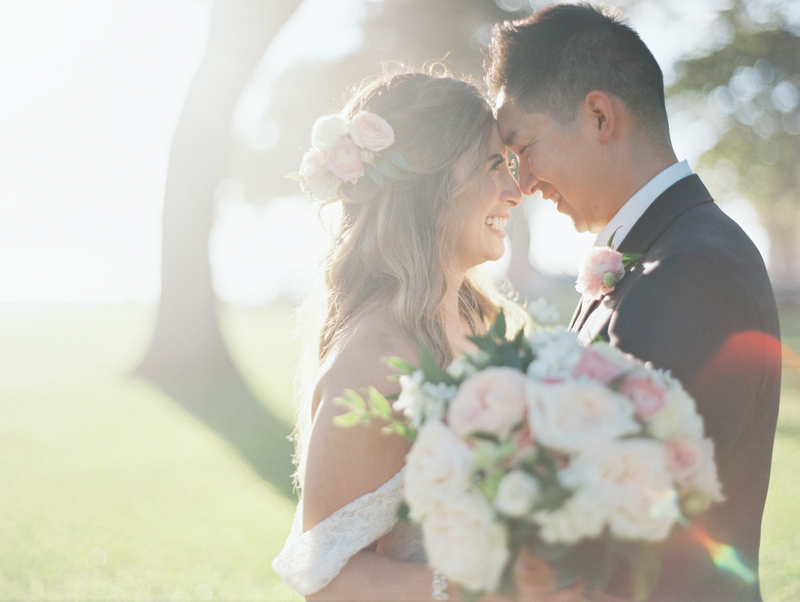 Just look at the images with Irish and Long: could the couple look more in love standing under the beautiful tall trees with the sun gently shining through? 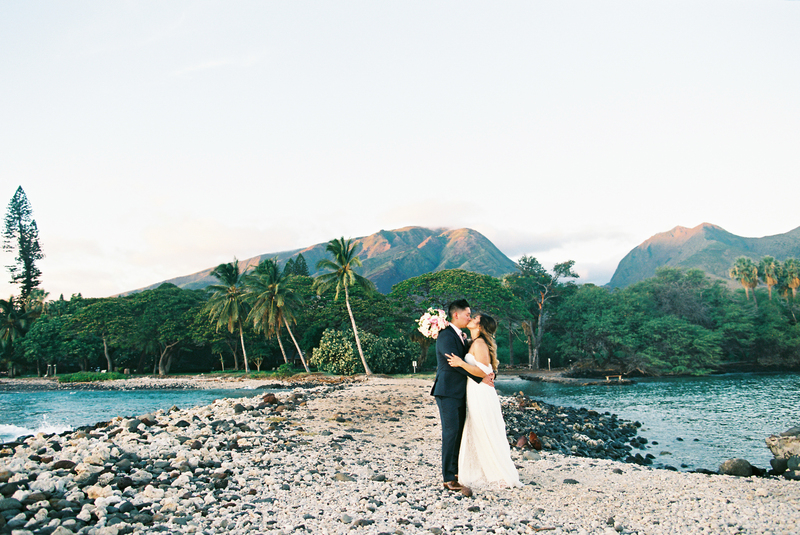 One of the reasons Olowalu Plantation House is so very well suited for outdoor destination weddings is the naturally phenomenal vista. 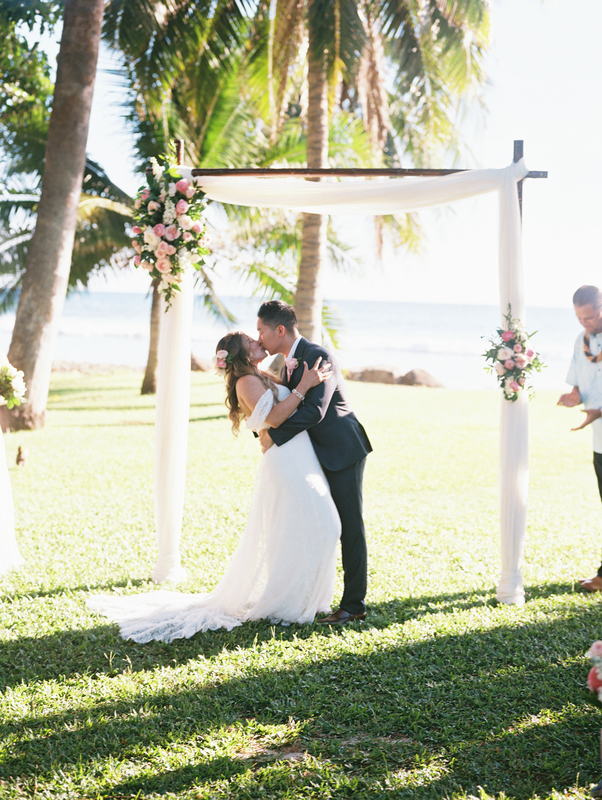 Not only is it breathtaking in real life, but it provides the most unbelievable backdrops for memorable wedding photos. 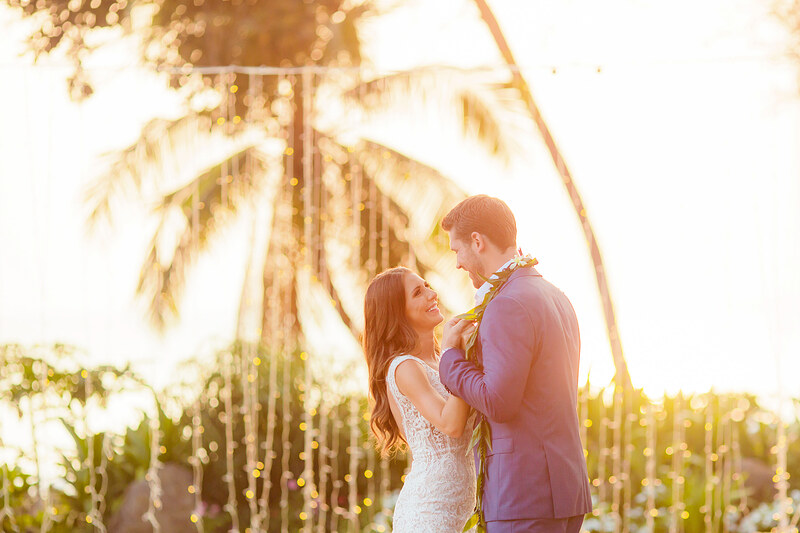 From the impressive sun-kissed peaks of Mauna Kahalawai or West Maui Mountains to the rich foliage throughout the property and ocean views as far as the eye can see – this truly is a dream-come-true place. 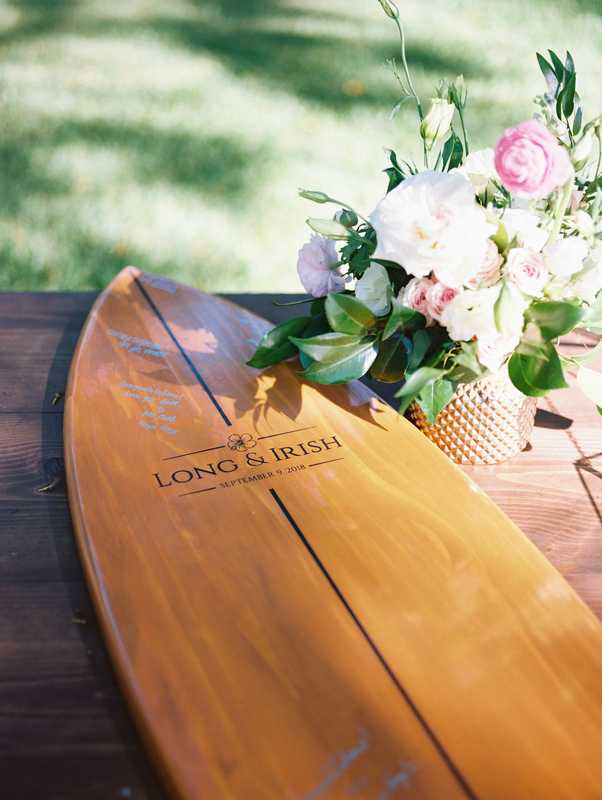 Irish and Long’s wedding included perfect contrasts between bright pops of color and elegant simplicity. 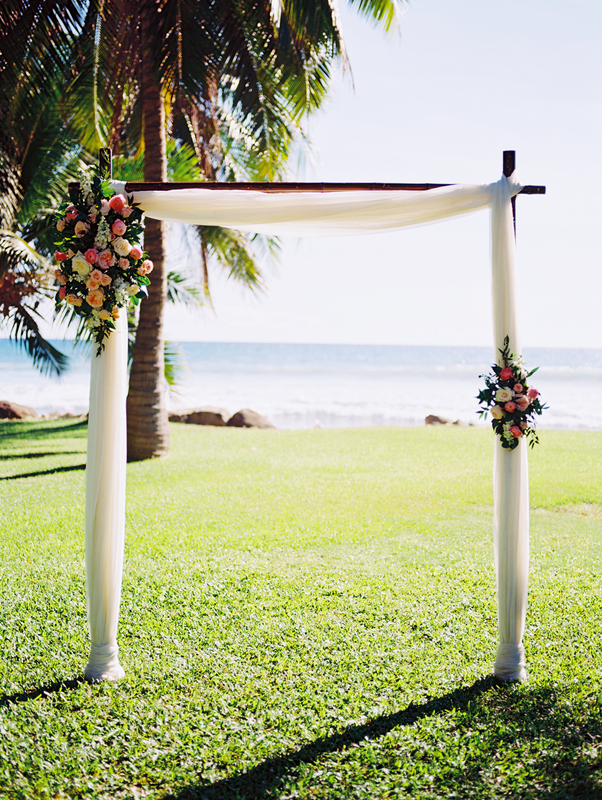 The wedding arch was minimalistic with delicate drapery and two beautiful floral pieces by Bella Bloom Maui. 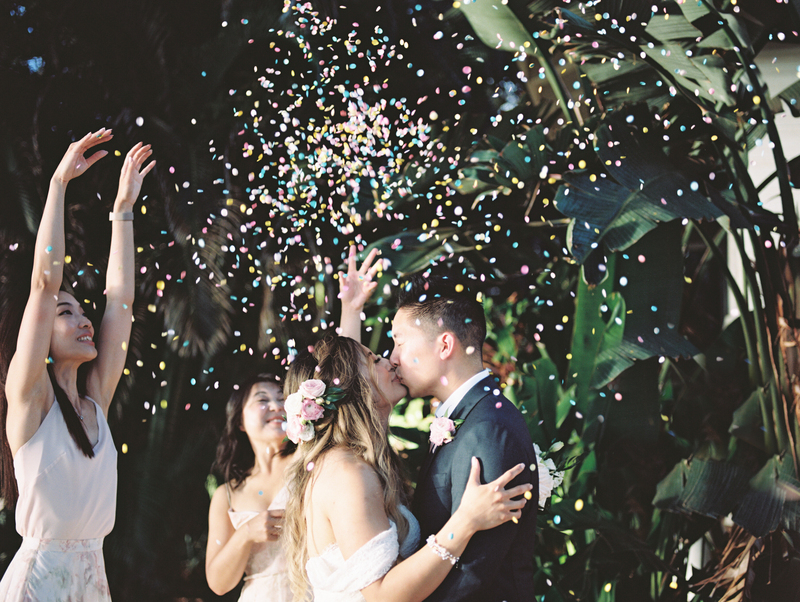 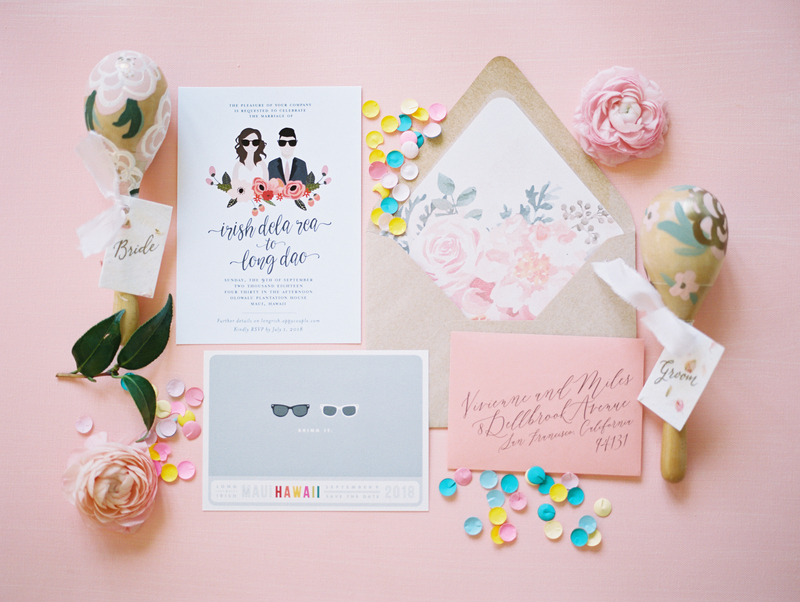 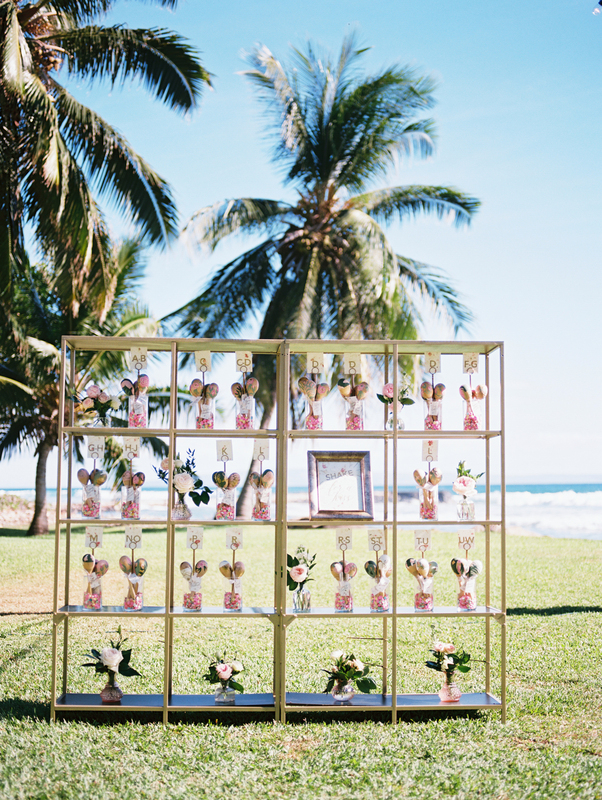 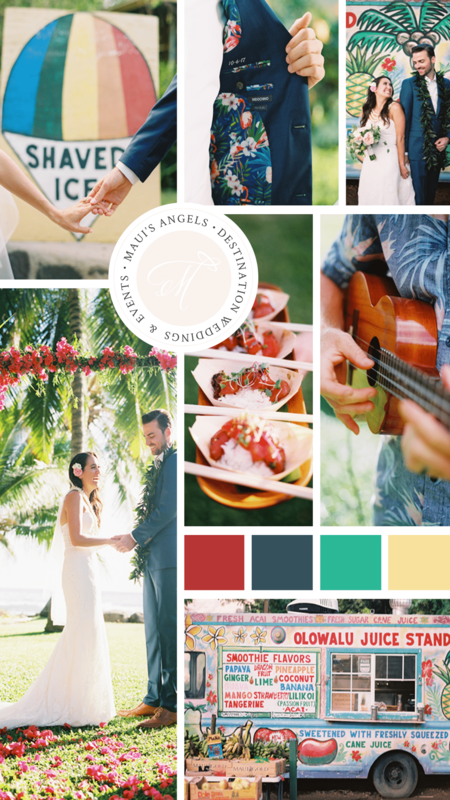 Playful accents like brightly-colored confetti, maracas, and a surfboard serving as a guestbook were so whimsical yet flawlessly fit the overall feel of this joyous day. 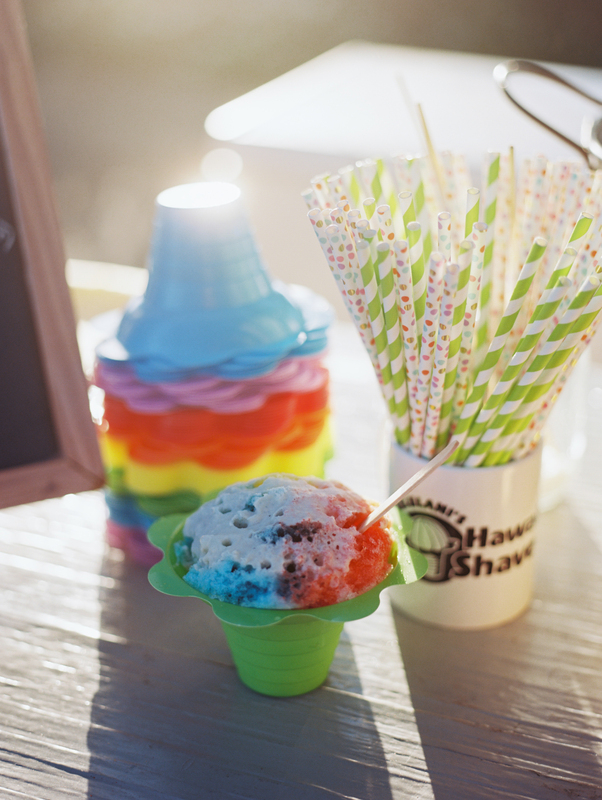 And can we just take a moment to appreciate the shave ice? 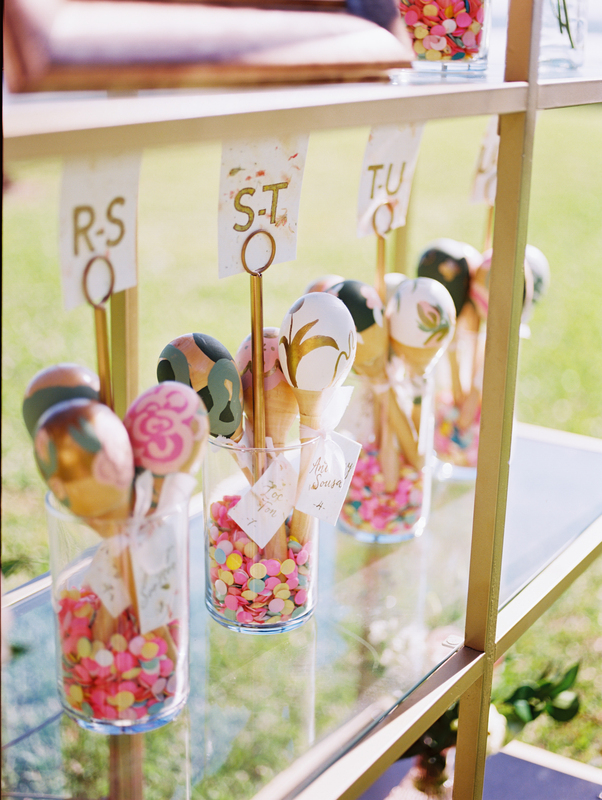 Now if that’s not something to surprise your wedding guests with, we don’t know what is. 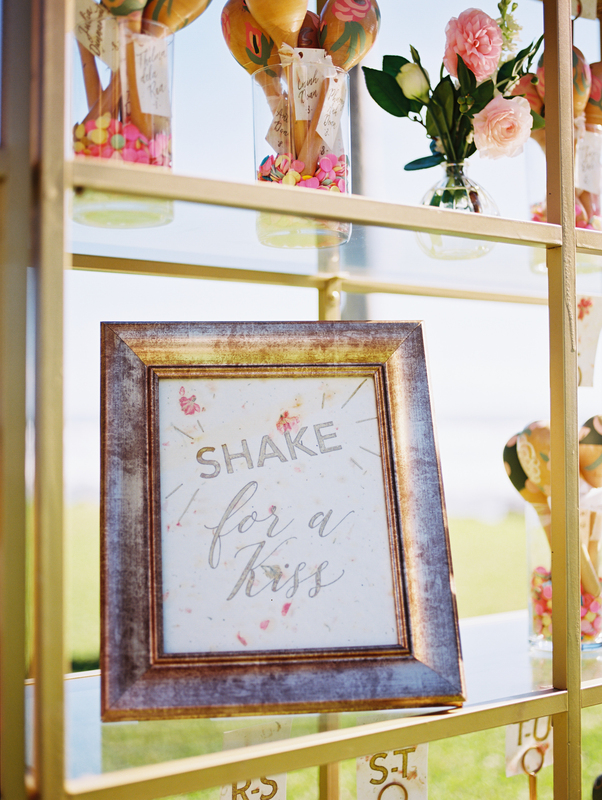 Everyone loved it! 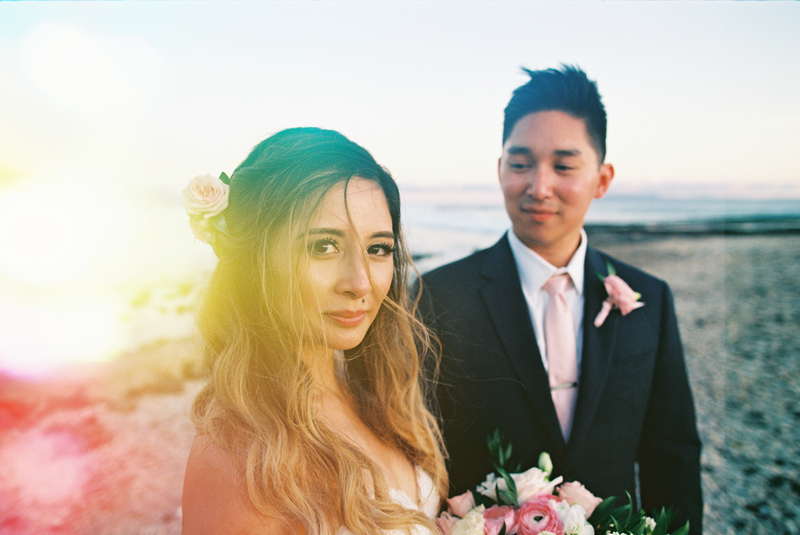 Al fresco wedding reception continued well into the night under the beautifully starlit sky. 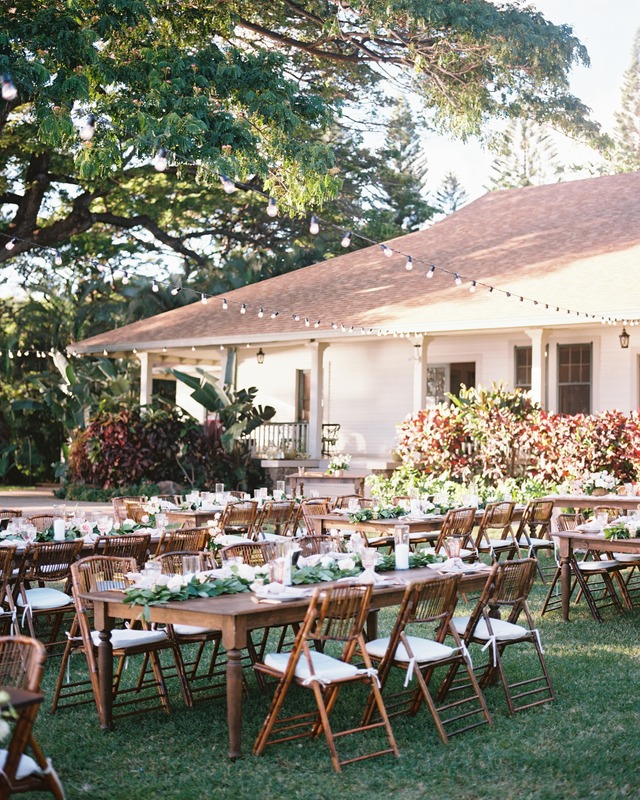 The farmhouse dining tables and Bali wood chairs in combination with cafe-style rope lights continued the relaxed vibe and complemented the overall look of the Olowalu Plantation Estate.